On Sunday, March 18, thousands of concert-goers packed The Anthem, ready to catch Judas Priest in their sold out show. After grabbing some much needed grub, several other photographers and myself grabbed our photo passes and slid up to the guardrail of this new 6,000-person capacity, Washington D.C. venue. 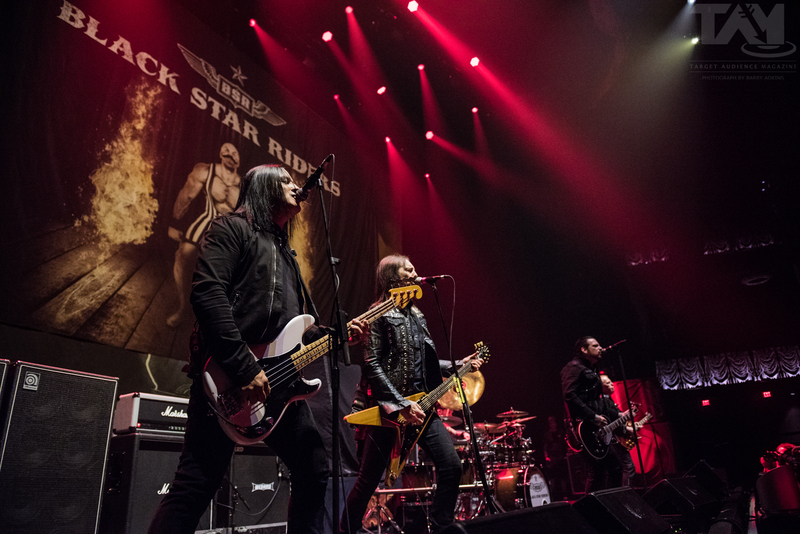 With both general admission standing room, as well as balcony seating overlooking the stage, everyone was in a prime position to see the legendary Priest, along with other rock n’ roll acts, such as fellow England resident, Saxon, and the Black Star Riders. 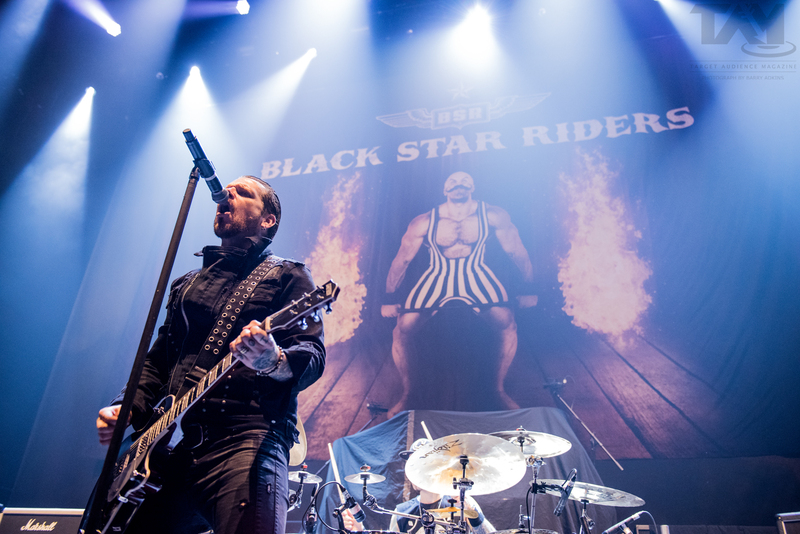 Formed in 2012 from by four members of Thin Lizzy, the Black Star Riders are a true hard rock force. They’re currently three albums into their new namesake, which continues in the Lizzy tradition, the latest being 2017’s Heavy Fire. A high energy band, helped in part by their newest addition of Chad Szeliga (ex-Breaking Benjamin) on drums, the crowd was quickly behind them. This was particularly true upon hearing “Jailbreak” from their former band’s album of the same name, which resulted in an eruption of applause. The Irish hard rock spirit still resounds in these older souls, now in a newer package. While their tenure hasn’t been quite as lengthy as that of Judas Priest, Saxon’s history has shown them as an undoubtedly influential and popular metal act. And that was quite apparent by the magnitude of the reaction with which they were received. 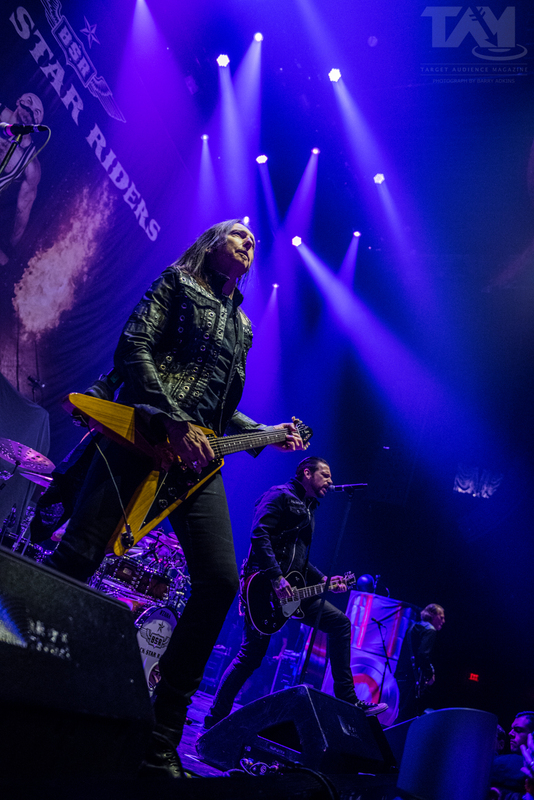 Their no-nonsense approach to rocking brought chants from all in attendance, and even material from their newest album, Thunderbolt, barely a month old, elicited cheers. And boy, did it sound great! The new songs were as strong as the classic tunes, and if I had not heard the band prior to that moment, I would not have been able to tell you which were which. The crowd was certainly excited, regardless of what was played. But, with every setlist, particular cuts will rise above others. The most notable point would have to have been when vocalist Biff Byford commandeered a battle vest from the front of the venue before tearing into “Denim And Leather.” The amount of headbanging and moshing the 5’0″ woman in front of me was getting into within a circle of her own design was all I needed to understand the magic this band’s music has had on fans over time, and the power it still possesses. That lady would have destroyed some people. It’s not possible to overestimate the impact Judas Priest has had on the rock and metal world. Having operated in one form or another since 1969, the group has endured line-up changes and diseases, releasing their 18th album, Firepower, less than two weeks before this concert. 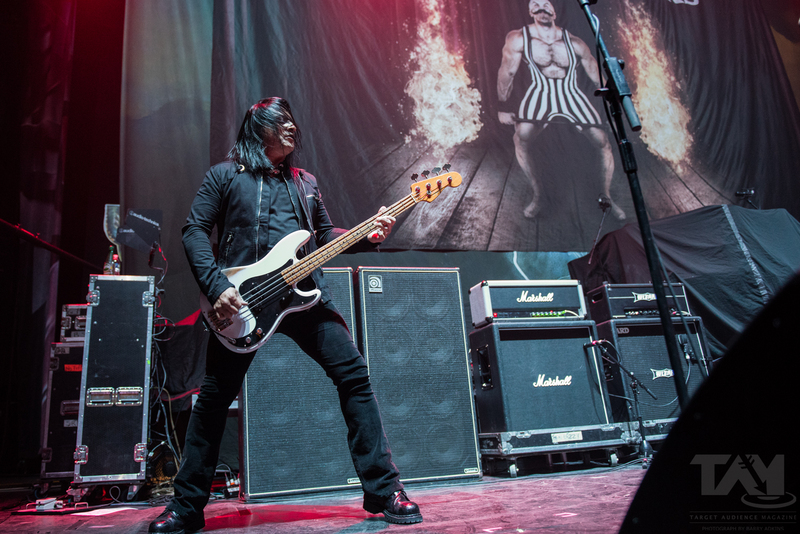 But it certainly packs a punch, and songs like “Evil Never Dies” came across remarkable heavy on stage. 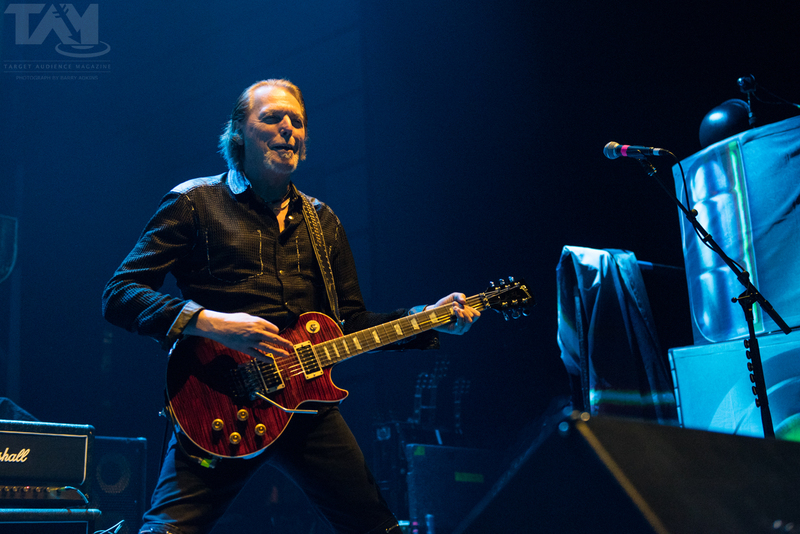 One notable difference to this tour was the absence of guitarist Glenn Tipton, bowing out due to Parkinson’s Disease. 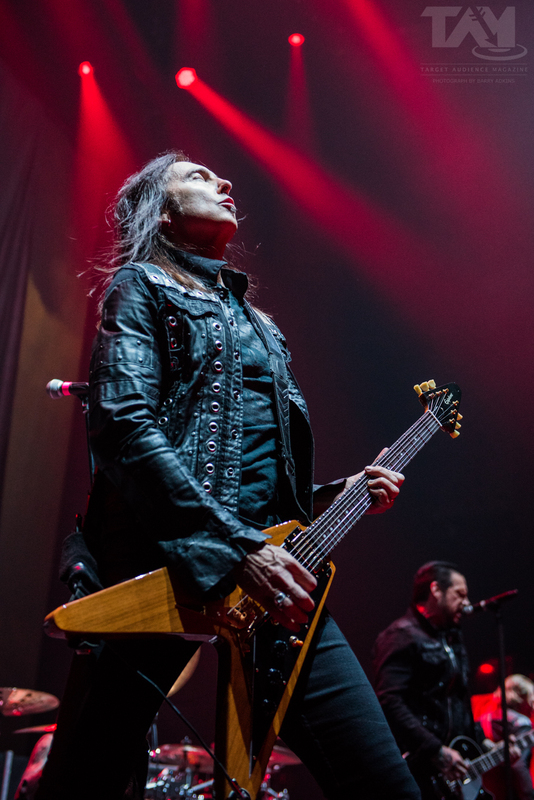 Filling in on this tour was co-producer for the new album, Andy Sneap (Sabbat), who, together with Richie Faulkner, made up the dual six-string attack with a style that didn’t disappoint. The rock and foundation of the band, bassist Ian Hill and drummer Scott Travis, were on point the whole evening. 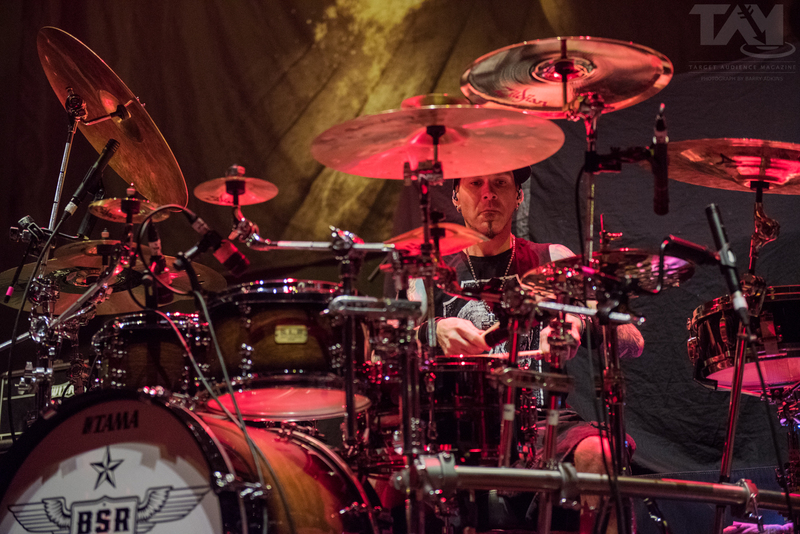 Travis, in particular, was a menace on the kit, and revved up the crowd by swearing he’d told the rest of the band that D.C. would be the loudest audience of the whole tour. Shucks, Scott, I bet you say that to all the fans! The Metal God himself, Rob Halford, decked out in studded outfits, hit remarkably high notes throughout the night, and rode a motorcycle onto stage later in the evening for “Hell Bent For Leather,” while fans in the balcony were on the edge of their seats throwing horns. But the highlight for many was the on-screen tribute to Glenn Tipton during the solo for “Painkiller,” showing him play along while Faulkner ripped on guitar. I think, perhaps, the biggest sign that Priest is doing something right is taking a look at the demographics of who was going at the show. While there were plenty of veteran fans there, there was a remarkable amount of young blood there, including one mother holding her young child up to watch the band (complete with huge, over-ear protection). 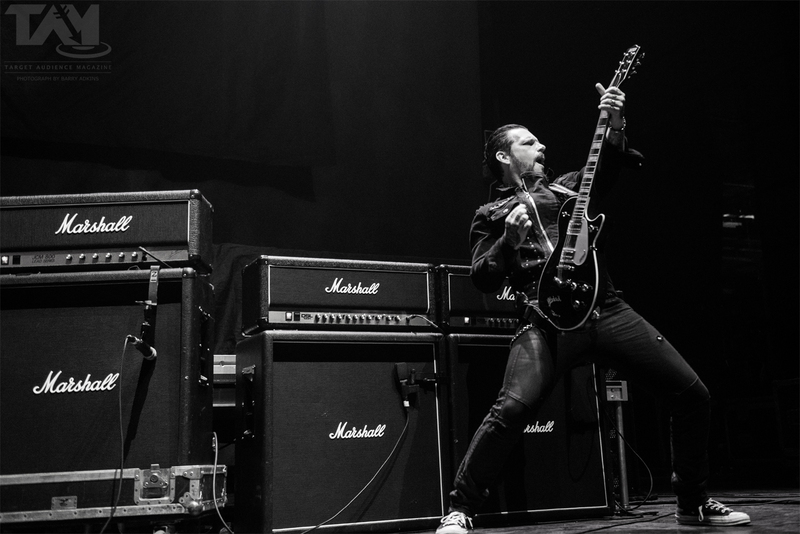 Priest has a back catalog full of fantastic material, and they’re still drawing in new audiences, and those new audiences helped make sure this was a sold out show. Be sure to get your tickets now. You don’t want to miss these great performances.